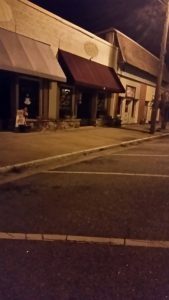 The team was contacted by the owners of the “Grits n Fixings”restaurant adjoined Morgan’s Bar in Grantville, Georgia. 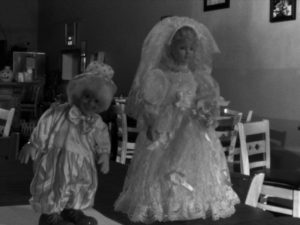 The owners and their staff have been experiencing paranormal activity in the restaurant and the adjoining bar both. They are interested in finding out the root cause of the activity. The Team headed out to the location and were greeted warmly by both the owners and the town’s people. 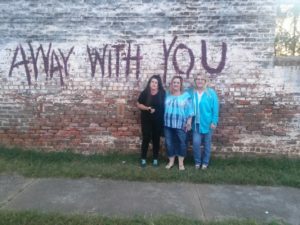 Episodes of the “Walking Dead “were filmed there and we took the tour of the town sites . Mary, our guide, was a wealth of information about the town and the “Walking Dead” filming locations. Location of investigation and shooting location for the town of Woodbury in the Walking Dead. Grantville wall aka Morgan’s Apartment area from the Walking Dead. D.V.R. stat cameras were set up in the dining room and kitchen of the restaurant, the basement of the building, and the bar area. 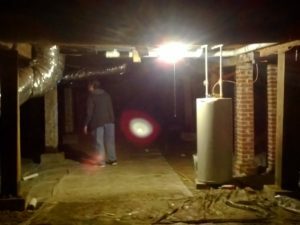 We also investigated a former bank location and the upstairs area of the adjoining building which was the exact location used to film the scenes for Morgan’s apartment. It looks as though a flashlight is sitting on the floor. The video from the same time frame shows no flashlight and nothing reflective on the floor either. 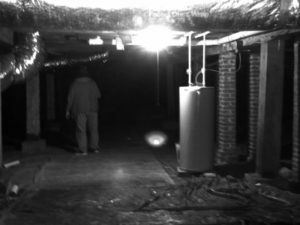 Video from the kitchen area showed some odd orb activity. A ghost box session was recorded in the kitchen area. here are some of the sound clips. Don’t know what this is saying. Louise was one of the team members conducting the E.V.P. session. Something calls her name. Gina asked who was responsible for moving dishes. This was the response. This one sounds as though it was asking about the person talking. In the bar area there was a report of dolls moving. We set up the dolls on a table to catch any movement. Here is a photo of the doll set up. We didn’t get any movement but did catch this E.V.P. Bar area. It sounds as though the other worldly residents were tired of our questions.